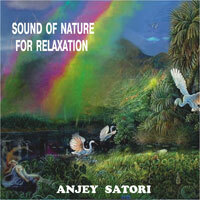 "Sounds of Nature for Relaxation"
Meditative music in combination with lulling sounds of the nature for deep relaxation. Slow and soothing music for relaxation, healing and meditation. Great for yoga, therapy, exercising. Very relaxing and atmospheric. Deep dive into the serene inner peace, the process of liberation from stress and tension. You can free download 2 tracks - Rain Surround and Sea Surround. To do this, click on Buy. You go to a website Bandcamp. Click to download the opposite track. Then click on the Buy Now name your price and in the field $, enter "0".